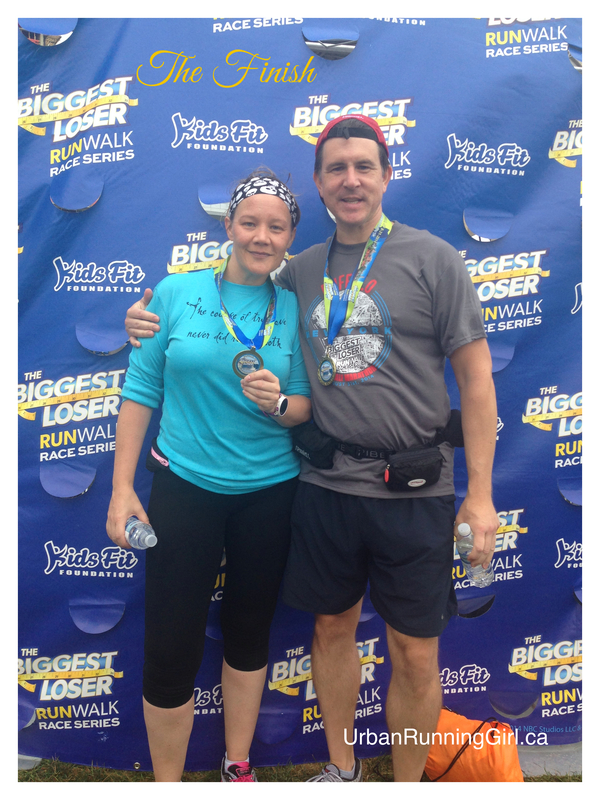 I’m not sure why, but it seems like forever since I ran The Biggest Loser half marathon in Buffalo, however, it was only last Sunday. Given that it was a long weekend, many Canadians venture out to Buffalo for weekend shopping trips. While we were no different, we didn’t want to be stuck in a car line up at the border, especially since we were running the following day, so we left very early to avoid the busy border times. We arrived in Niagara Falls, New York just in time for an early breakfast at Denny’s. By the time we finished, it was nearing 10 am, so we ventured out to a few stores in the area and bought some items we required for the hotel room. You know, essentials like water, and a few snacks. Getting to the hotel and expo, which were next door to each other, was a fairly easy drive. We opted for the parking garage across the street from the Hyatt Buffalo as the parking was much cheaper than the hotel’s rate. 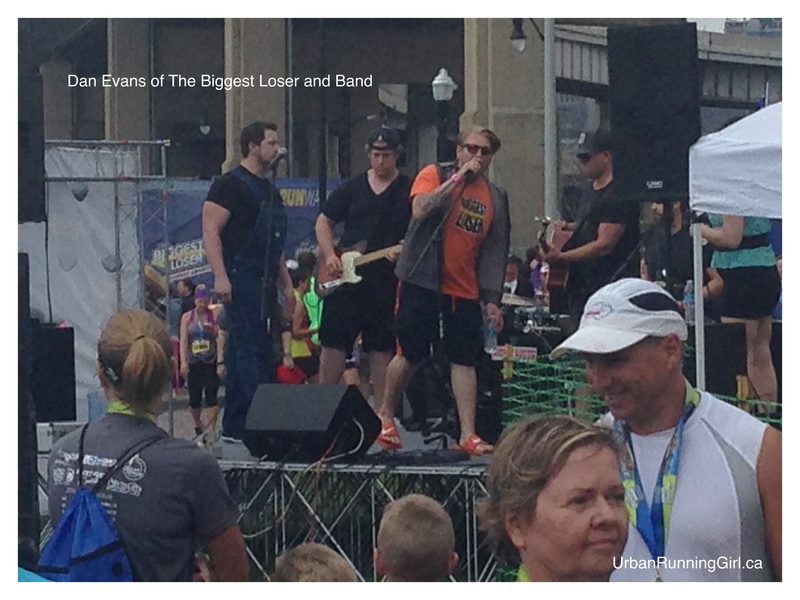 The Biggest Loser’s race organizers negotiated a decent rate for the host hotel, so we booked it back in the spring. It was nice to be able to stay close to the expo. We arrived at the opening of the expo. 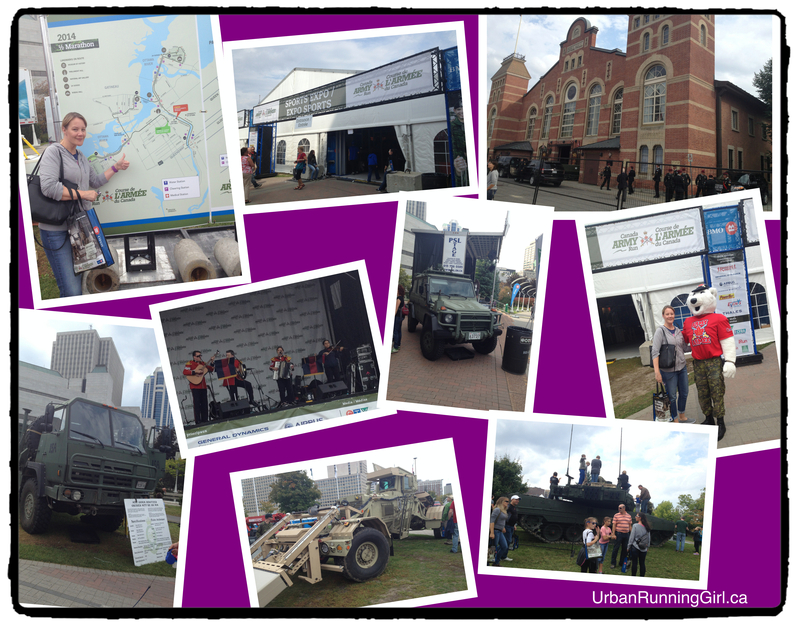 The expo itself wasn’t a huge affair. 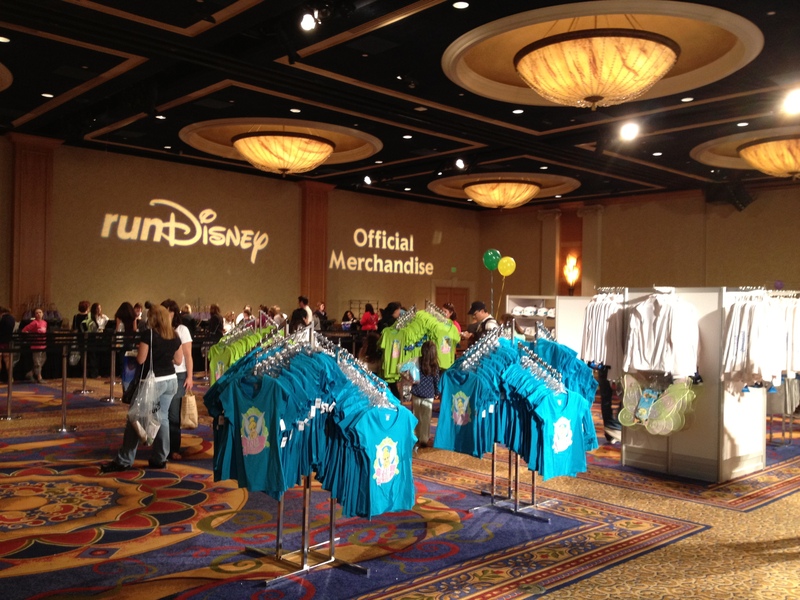 Basically, the packet pick up and expo booths were in a large ballroom. 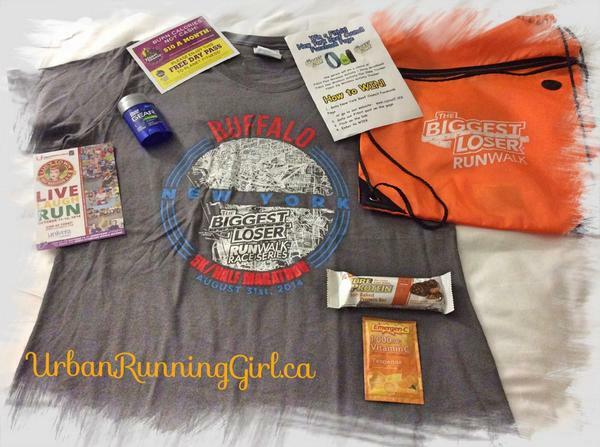 Participants were ushered to the first table to pick up their bibs, and then they were sent over to another group of tables to pick up the race shirt and bag. 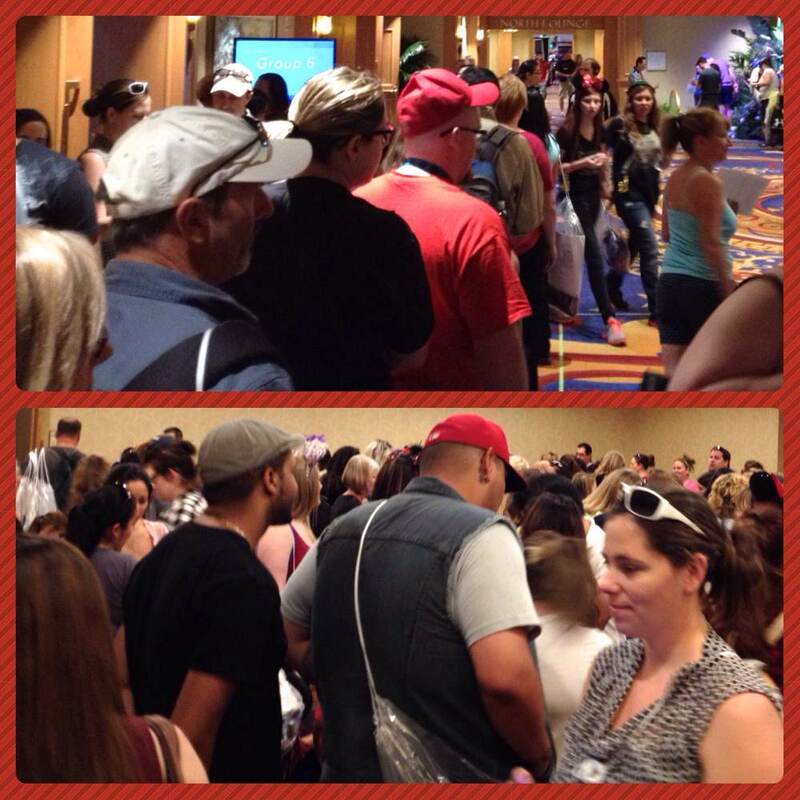 I saw Pam Geil from The Biggest Loser Season 14 getting to work and handing out shirts to participants. She looked like she was having a ball and seemed to fit right into working the crowds. 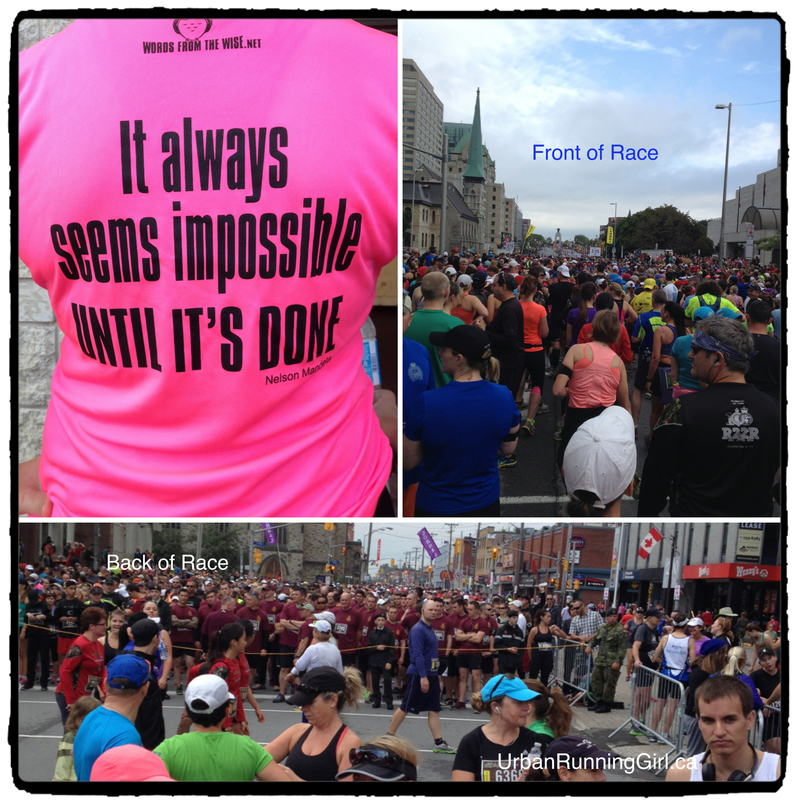 I don’t know how others felt about the race shirt being a regular cotton tee. 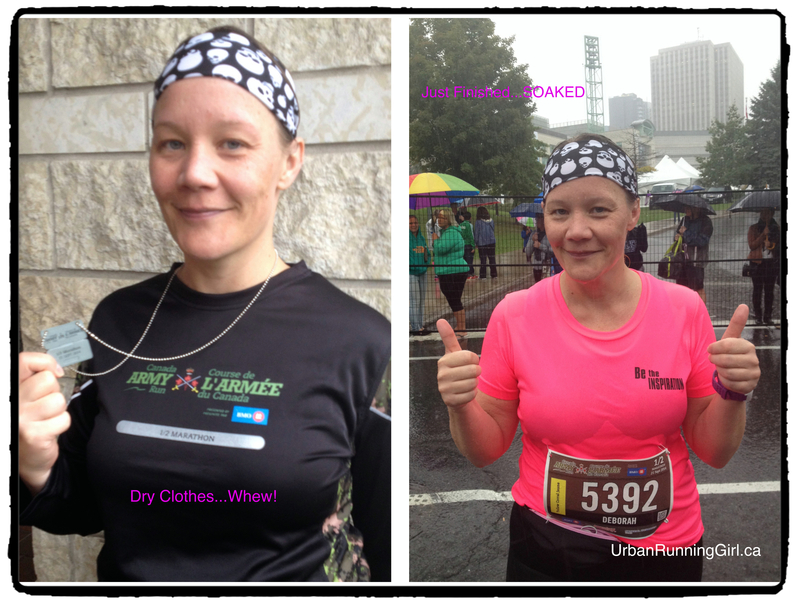 I actually didn’t mind that is was as most of my race shirts never get worn after a race. This was a nice change as I would wear this shirt around the house. There were a few vendors at the expo, and I managed to pick up a shirt and skirt at fairly good prices. We were done at the expo just after 12 pm, so we walked over to the hotel to see if they could check us in. Luckily for us, they did. We lounged around our room for a bit, before heading out to do some local shopping for the afternoon. We also had to find dinner, which turned out to be The Cheesecake Factory. Probably not the best choice the evening before a race, but we were careful as to what we ordered. We were back in the hotel by 730 pm, and I think I was asleep by 9 pm. Given the long day we had on the road, I was pretty tired, so there wasn’t any issues falling asleep. We were up at 5 am. The first thing I did was grab the bottle of water and drank close to a litre within a half hour. 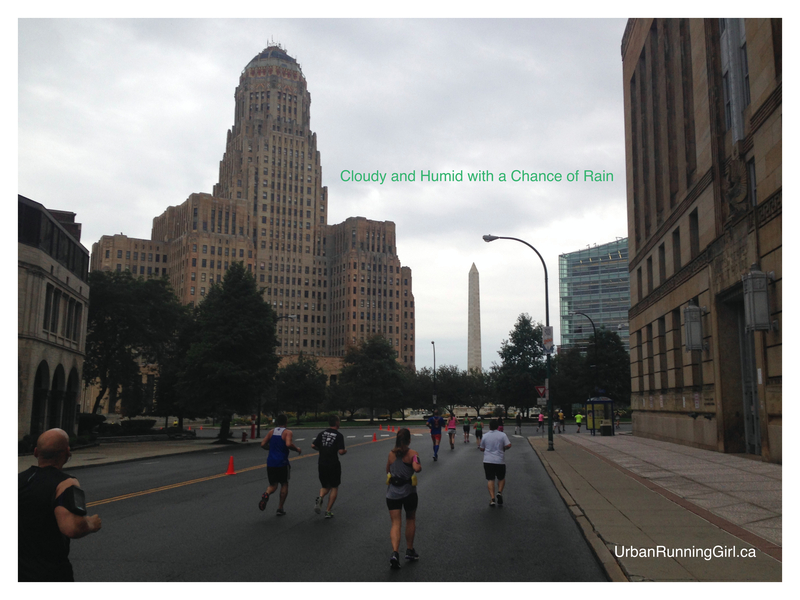 I wanted to be well hydrated as the weather on Sunday was going to be a hot mess of humidity. We also bought a couple of bagels and bananas for a quick breakfast bite before the race. We left our hotel room at 715 am and walked to the start which was a slow 15 minute walk. I was told there was a trolley shuttle that would take us there, however, there was a lot of construction in the area, and we weren’t sure if it was running on it’s usual route. Since it was also Sunday, we weren’t sure what time it started, so we opted to walk. The walk was fine, and gave us a chance to warm up our legs. 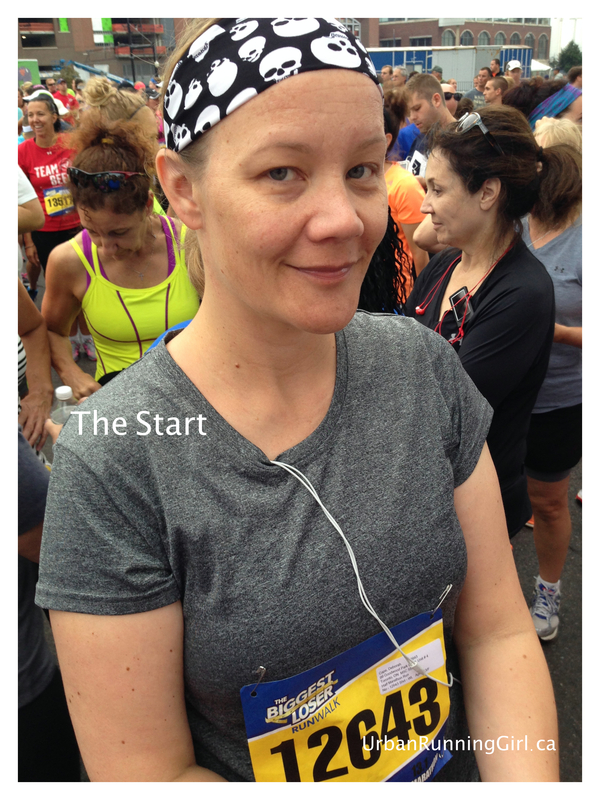 By the time we got to the start area, we were ready for a port-o-potty break before making our way to the start. We didn’t have to wait too long before the race began. I didn’t bring my phone with me to snap pics, but Kari did so I’m able to show you a few. 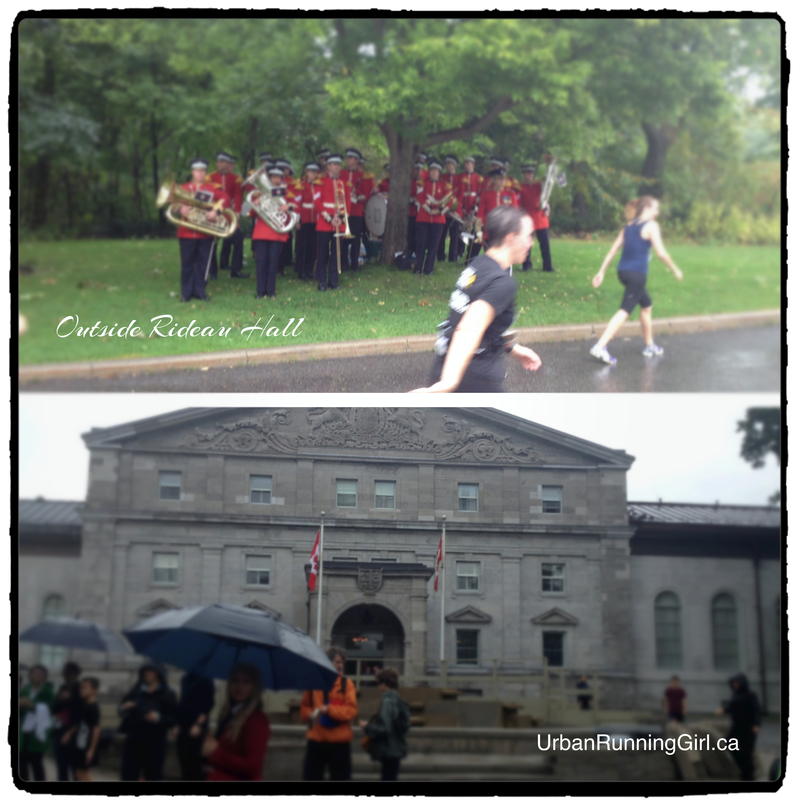 As you can see, the day was pretty grey which was nice since the humidity was at about 80%. While the weather forecast called for rain, we didn’t have any. For once in my life, I wished we did. The course was flat on many parts, however, there were areas where it had some gradual elevations. The most difficult hilly area was around the Delaware Park Golf Course which seemed to touch on the Buffalo Zoo, as I could have sworn I saw a couple of real live Buffalo behind some bars as I was making myself around the area. Drink stations were around every 2 mile marker. After the first stop, I decided to stop at every station and grab 4 small dixie cups. 2 were for drinking and 2 were for pouring over my head. The humidity was that bad for me, so throwing water on my head gave me a bit of a refreshing lift. Enough to get me two more miles until the next station. Despite my recent troubles with my back, I was able to push through. 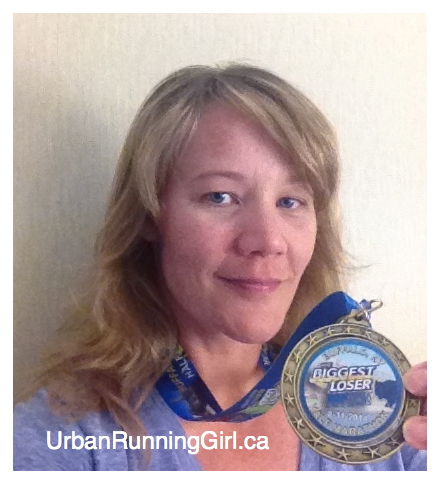 I took it easy and ran this race like a long slow run. Even if my back was 100%, I probably would have done the same with the weather conditions. 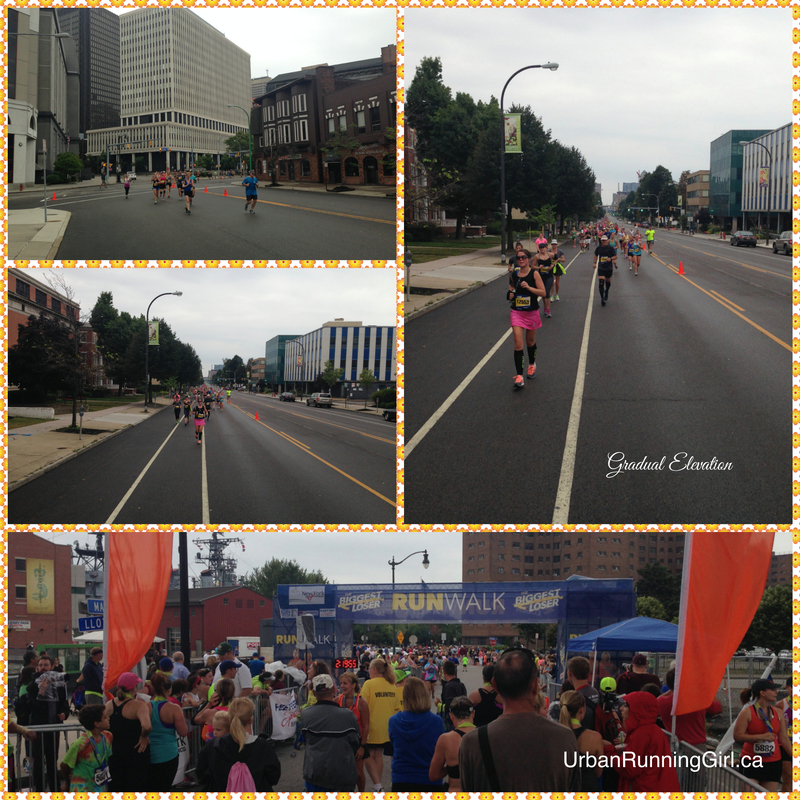 Once I was through the finish gate, I easily spotted Kari. He had already gotten our checked bag so I was able to change into a dry shirt (mine was soaked). We walked around the venue / finish area for a while before making our way back to the hotel. Dan Evans of TBL Season 5 was performing with his band (which was pretty good I might add), and many of the vendors from the expo were able to sell for a second day which was good in case someone missed something at the expo. On our way to the hotel, we stopped at Tim Hortons for a frozen hot chocolate. We relaxed for a few hours before heading out for a celebratory dinner. It was fun to get away and do a race outside of my own area. I’d definitely take another road trip in the future. 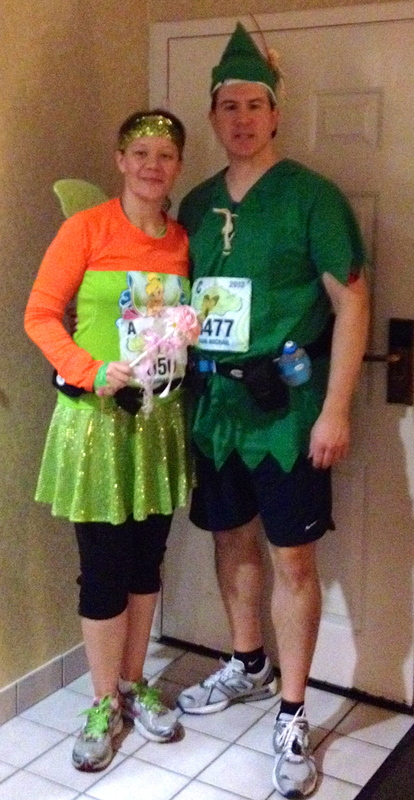 We had a spectacular time in Anaheim during the Tinker Bell Half Marathon weekend. 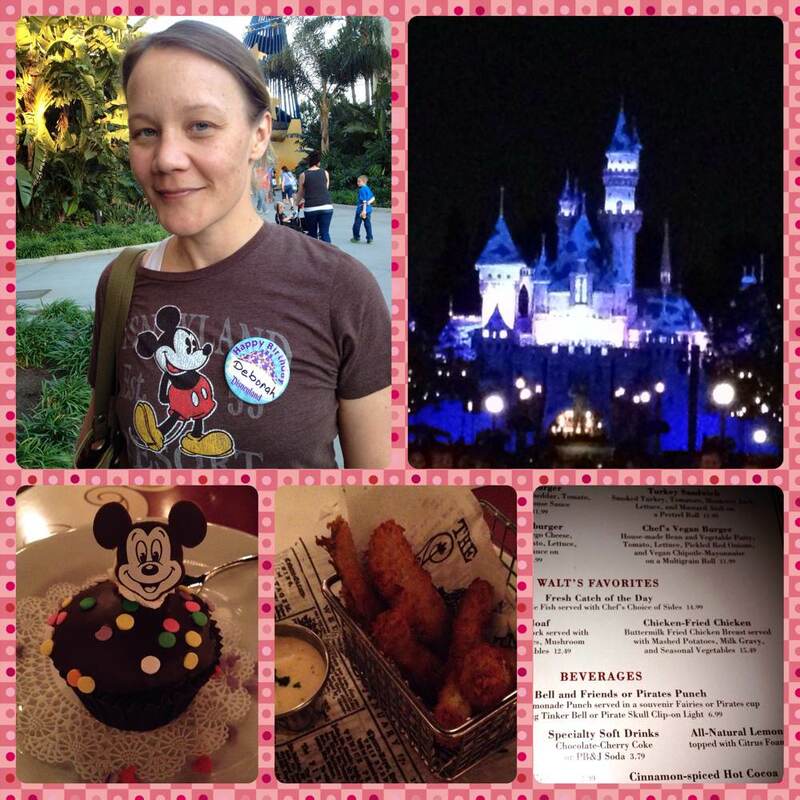 The weekend was jam packed with running, park hopping, and roller coasters! Let’s just say, that by the time we left Anaheim to go to L.A., I was pretty much fueled with the help of caffeine and perhaps adrenaline. 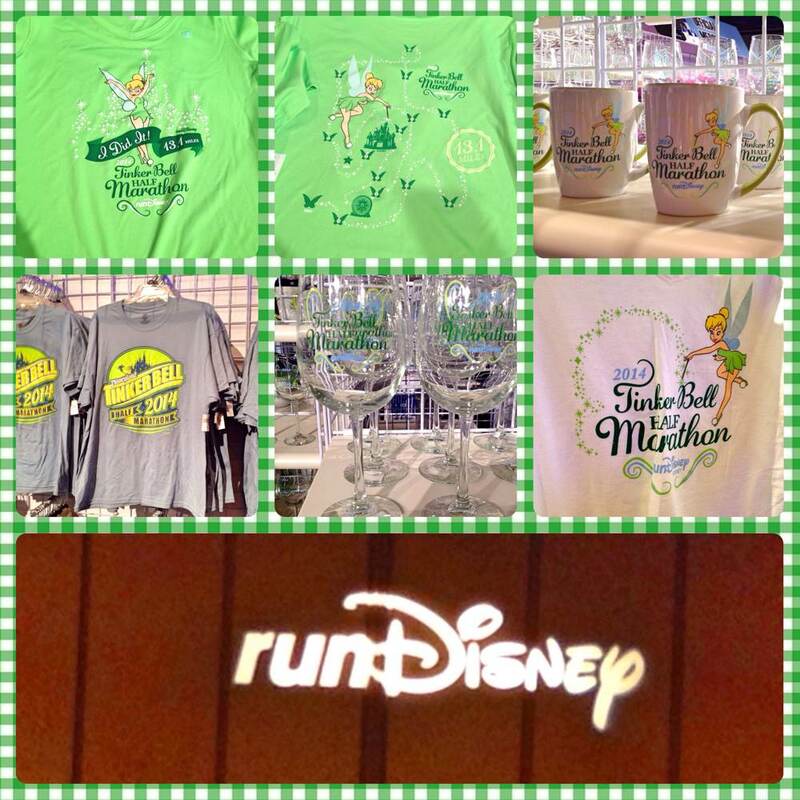 We arrived in Anaheim on Friday afternoon and after a quick stop at our hotel, we made our way to the Tinker Bell Run Expo to pick up our race packs. 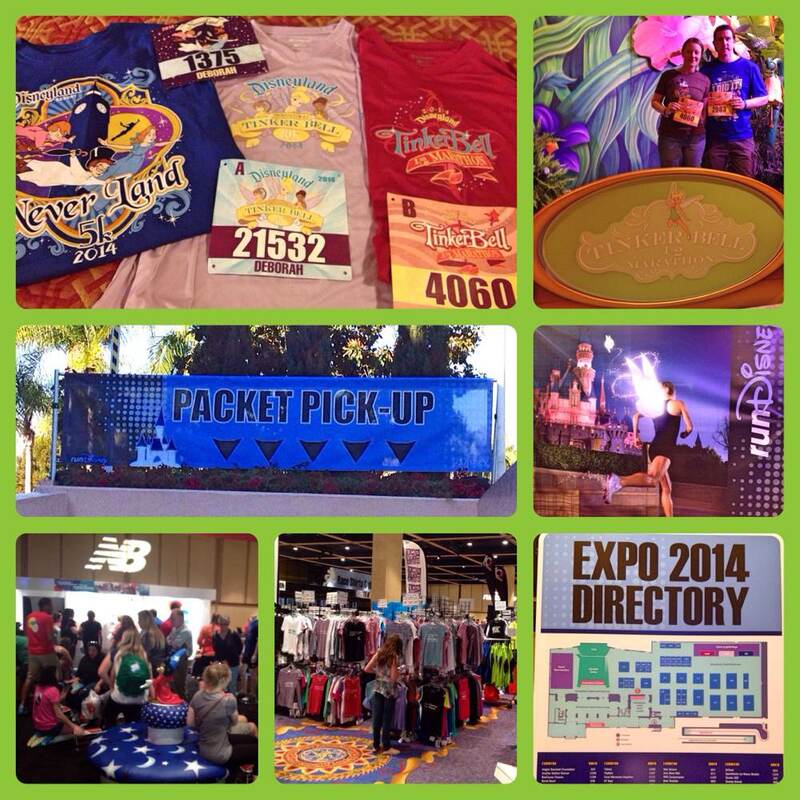 Once we got our race bibs and shirts, we did a little shopping at the expo. I went by Sparkle Skirts and picked up a skirt for race day. 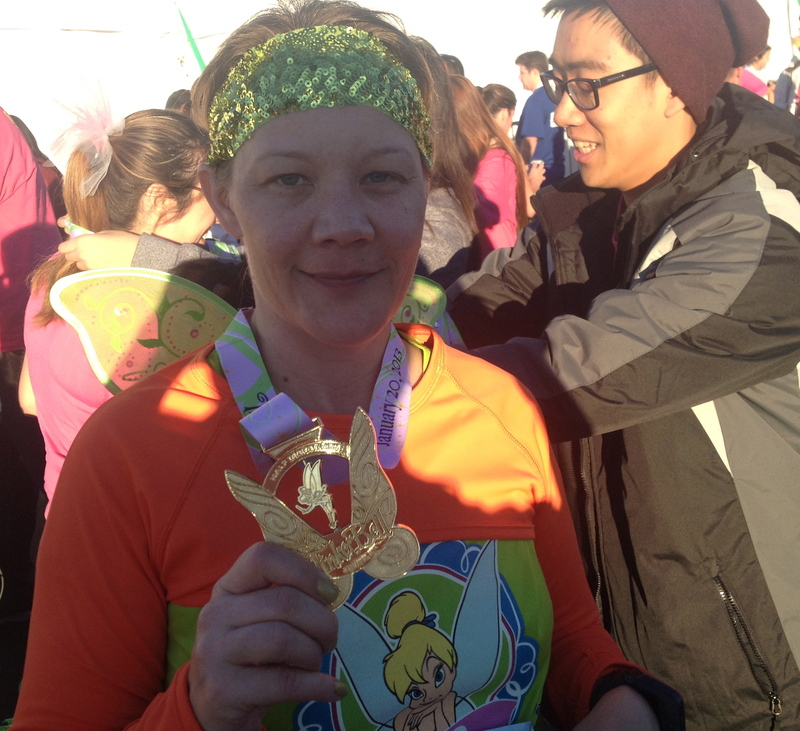 The booth was packed as many Tink runners were also in the mood for a little sparkle in their step. 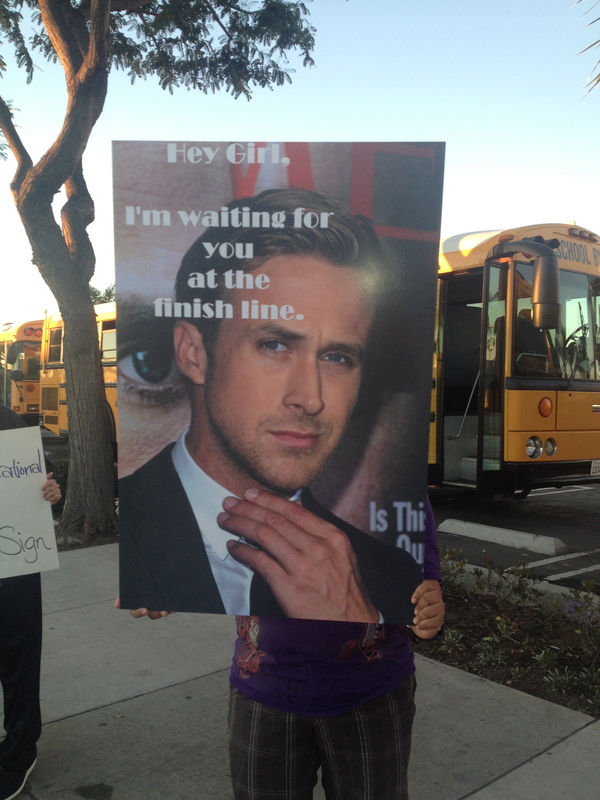 On Saturday, we made our way to the start of the Neverland 5K. The race began inside the Disneyland park, so we entered into Main Street to make our way towards the castle. 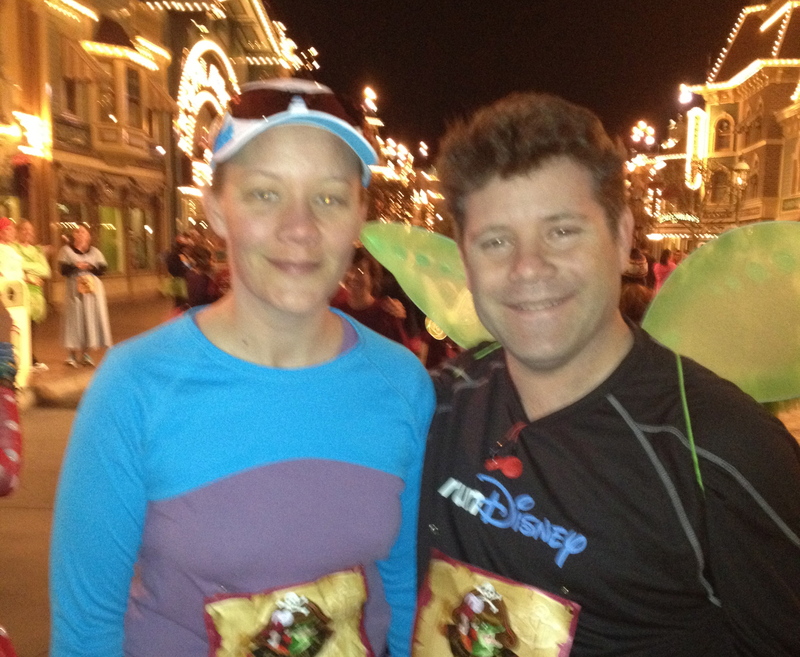 As we were walking towards the castle, I had a chance meeting with Sean Astin. How cool was that? 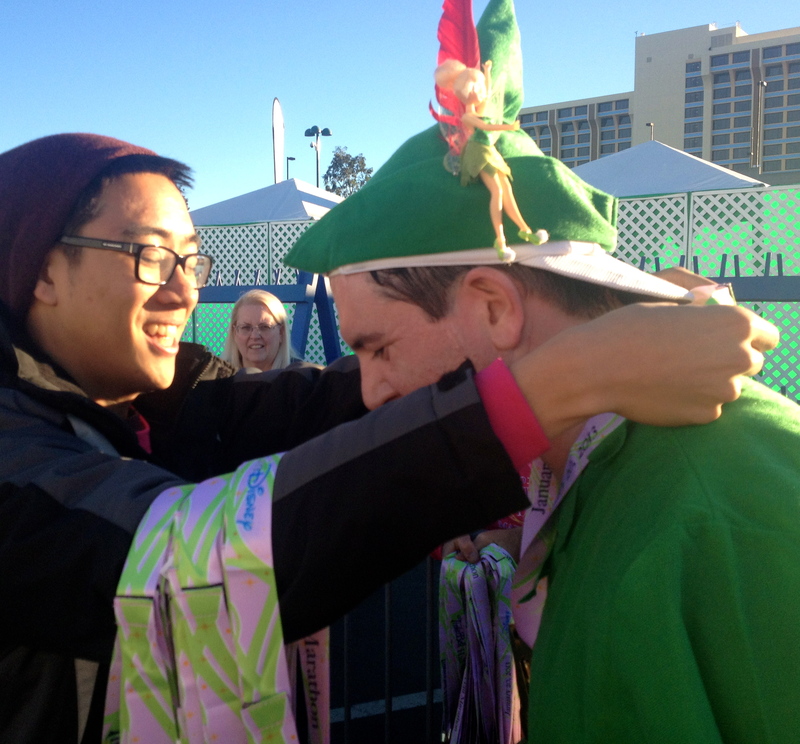 As you can see, he was totally into Tink spirit as he was wearing wings! 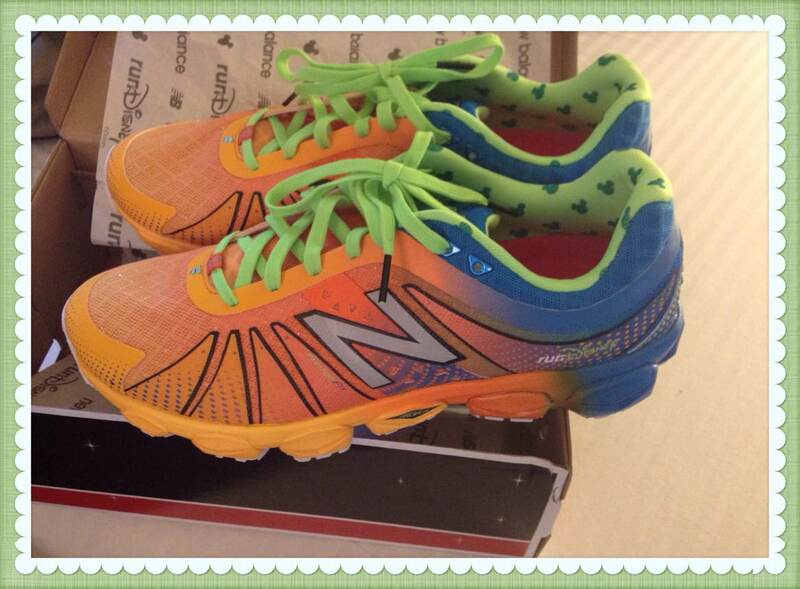 The 5K is fun, however, if you plan on running this race, make note it will not be a fast race. Much of the course has narrow running paths, and lots of congestion. 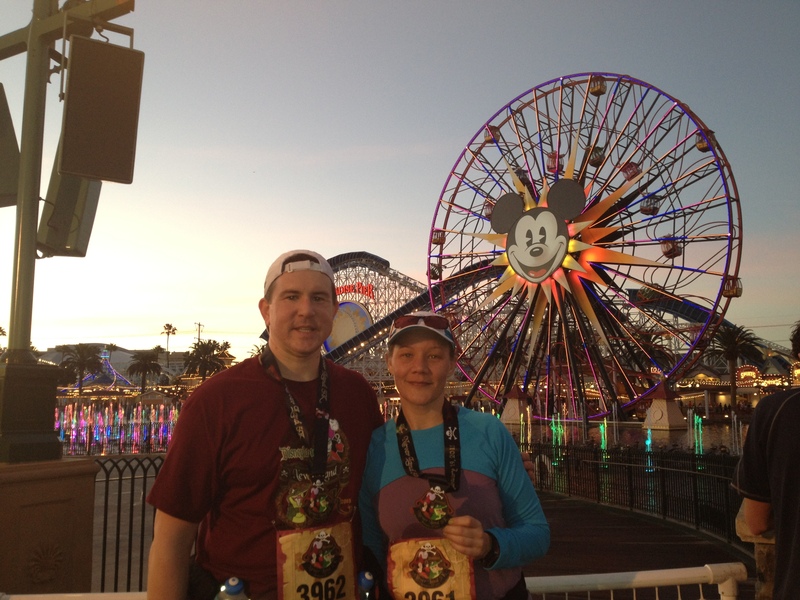 After our 5K, we headed back to the hotel to shower and get ready for a full day of fun at California Adventure. On Sunday morning, we were up bright and early. Here we are, prior to leaving for the race. We found out at the expo that all male participants were put in corral C by default, therefore; ‘Peter’ and myself were not starting at the same time as I was starting in a corral ahead of him. This worked out perfect (or so we thought), as I had planned on stopping and taking lots of pictures along the way which would give ‘Peter’ lots of time to catch up to me, and that we would be able to finish the race together. Although, we did finish together, it came down to the very last minutes of our race. I had expected he would have caught up to me around the 15K mark, however, he was no where in sight, so I slowed my pace down, in the hopes that he would eventually meet up with me. It wasn’t until the last stretch of the race, where there is a hairpin turn that I saw him running up on the other side. I think I was about 200 meters from the finish, and I waited for him to run around the hairpin, so we could cross the finish line together. 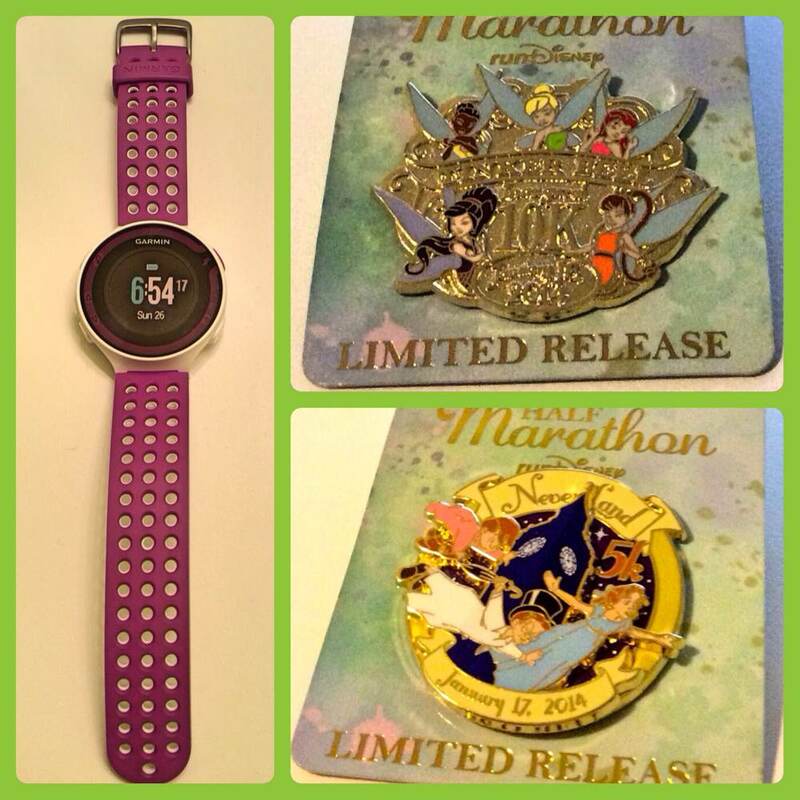 As always, it was another excellent Disney running adventure. In the next couple of weeks, I hope to be able to share a video of our running adventure with you.